“This wonderful book,” “an excellent guide,” “a unique resource,” “fresh and perplexing,” “nuanced thinking,” “rich and mind-expanding,” “a fascinating read,” are some of the kind things that people have said, about my book, "‘Race’ and Culture. Tools, Techniques and Trainings. A Handbook for Professionals" which I co-authored with Sumita Dutta and was published by Karnac books in 2010. Please click on the above link to read the full reviews on Amazon.co.uk. My professional doctorate, "The Process of Family Talk across Culture. A Qualitative Research Study" was published by Lambert Academic Publishing in 2013. "Family Therapy around the World" to which I contributed a chapter, 'Exploring Culture in Practice' was published by Routledge in 2004. Healing Room. The Need for Psychotherapy, to which I co-authored a chapter 'Systemic Family Therapy' was published by Harper Collins India in 2017. I am currently one of the Associate Editors of the forthcoming four volume Handbook of Systemic Family Therapy, edited by Wiley. From 2014 to 2018, I was the Editor of the Journal of Family Therapy. From 2009 to 2013, I was the Associate Editor for Qualitative Research for the Journal of Family Therapy. I also serve on the editorial boards of Clinical Child Psychology and Psychiatry, Psychological Foundations – the Journal (a leading Indian mental health journal) and Contemporary Family Therapy. I have been the guest editor of an issue on Qualitative Research for the Journal of Family Therapy (published in August 2011), on ‘The Body’ for The Journal, Psychological Foundations in 2001 and ‘Treating Indian Families in India and Around the World’, Contemporary Family Therapy 2004. I have published extensively in peer reviewed journals in the U.K, the U.S and in India. My co-authored paper, 'Power and Parenting Assessments' published in Clinical Psychology and Psychiatry has consistently been one of the top ten most read papers, since it was first published in 2006. Rastogi, M. and Singh, R. (2018) Preface. Systemic Family Therapy and Global Health Issues. The Handbook of Systemic Family Therapy. Volume 4. London: Wiley. Reibstein, J. and Singh, R. (2018) The Intercultural Exeter Model. Psychotherapy Review. Special section on Couples and Families. Pp 56-71. Singh, R. (forthcoming) Aporias of love and belonging. Book based on conference in Malta on Couple Relationships in the 21st Century. Evolving Contexts and Emergent Meanings. Reibstein, J. and Singh, R. (forthcoming) The Exeter Intercultural Couples Model. Borsca, M., Lebow, J., Singh, R., Larner, G. and Messent, P. (forthcoming) Writing and publishing in academic journals. In a book based on the 2nd International Systemic Research conference. Singh, R., Killian, K., Bhugun, D. and Tseng, C. (forthcoming). Clinical Work with Intercultural Couples. In A. Blow (Ed.) Handbook of Family Therapy, volume 3. London: Wiley. Reibstein, J. and Singh, R. (forthcoming) The Exeter Intercultural Couples Model. London: Wiley. Singh, R. (2017) Valedictory Editorial. Journal of Family Therapy 39 (4): 495-497. Singh, R. (2017) Intimate Strangers: working with interfaith couples. Australian and New Zealand Journal of Family Therapy. Special issue on spirituality. Australian and New Zealand Journal of Family Therapy. 38(1): 7-14. Singh, R. (2017) Do we need to change the way we measure change? Developments in SCORE -15. Journal of Family Therapy 39 (1), 1-3. Singh, R. (2016) Couples and transgenerational relationships: cultural considerations and connundra- JFT 38 (3): 301 -301. Singh, R. (2015) A journal in time. Past, present and future themes. Journal of Family Therapy, 37 (4): 407-408. Singh, R. (2015) Reflections on Practice. Enduring Love? Couple Relationships in the 21st Century. Clinical Implications. Feedback. Journal of the Family Therapy Association of Ireland. (pp. 70 -79). Singh, R. (2014) Information Communication Technologies and the family: Friend or foe? Editorial. Journal of Family Therapy. 36.4. Singh, R. (2014) Book Review. Thinking Space: Promoting thinking about race, culture and diversity in psychotherapy and beyond. Journal of Analytical Psychology, 59. 585-587. Singh, R. and Teh, Y. (2014) Reflections on teaching systemic skills to social workers in China. Context. 248-251. Singh, R. (2014) Editorial. Beyond Evidence Based Practice? Journal of Family Therapy 36 (3): 217-218. Singh, R. (2014) Cultural differences and universalities: "both/and?" Journal of Family Therapy 36: S1. 1-2. Wallis, J. and Singh, R. (2014) Constructions and enactments of whiteness: a discursive analysis. Journal of Family Therapy 36: S1 -39 -64. Singh, R. (2014) Editorial. Evidence based practice and practice based evidence: reasons for optimism. Journal of Family Therapy. 36.2. 1-2. Stratton, P., Lask, J., Evans, C., Singh, R. and Nowtony, E. (2014) Validation of the SCORE -15 index of family functioning and change in detecting therapeutic improvement early in therapy. Journal of Family Therapy 36.1: 3-19. Amias, D., Singh, R and Tibbles, P. (2011) Report on the David Campbell Memorial Conference. Context on Systemic Supervision. November 2011. Singh, R. (April 2011) Report on the Tavistock and UEL Family Therapy and Systemic Research Centre. Singh, R. (2011) Ecological Epistemologies and beyond: qualitative research in the 21st Century. Journal of Family Therapy 33(3): 229-232. Stratton, P., Reibstein, J., Lask, J., Singh, R. And Asen, E. (2011) Competences and occupational standards for systemic family and couples therapy. Journal of Family Therapy 33(2): 123-143. Singh, R. (2009) Constructing ‘the family’ across culture. Journal of Family Therapy 31(4): 359 -383. Singh, R. and Clarke, G. (2006) Power and parenting assessments: the intersecting levels of race, culture, class and gender. Clinical Child Psychology and Psychiatry 11 (1): 9-25. Singh, R. (2005) Case comment. The Journal 7 (2): 63-65. Singh, R., Nath, N. and Nichols, W.C. (2005) Introduction to Treating Indian Families Contemporary Family Therapy 27 (3): 281-285. Special Issue. Treating Indian Families in India and Around the World. R. Singh, R. Nath and W.C. Nichols, Issue Editors. Singh, R. (2005) Therapeutic skills for working with refugee families: an introductory Course at the Institute of Family Therapy. Journal of Family Therapy 27 (3): 289-293. Singh, R. (2004) Exploring culture in practice: a few facets of a training course. The Journal of Family Psychotherapy 15 (1-2): 87-104. 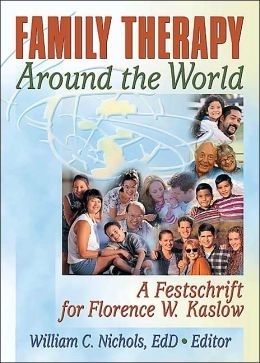 Co-published simultaneously in Family Therapy Around The World: A Festchrift for Florence Kaslow. Hawforth Press. Singh, R. and Waller, H. (2003) Conference Report. Context 68: 35. Hussain, N. and Singh, R. (2002) An exploration of themes and meanings in cross-cultural systemic work. Psychological Foundations. The Journal 4(2): 156-163. Singh, R. (2001) Enid Colmer in an interview with Reenee Singh about her systemic work with a chronic fatigue syndrome family. Special issue on The Body. Psychological Foundations. The Journal, 3(2): 63-72. Samson, L., Singh, R. and Barua, P. (2001) Qualitative research as a means of intervention development. Addiction Research and Theory. 9 (6): 587-599. Singh, R. (2000) Comment on case report. Psychological Foundations-The Journal 2(2): 72-73. Singh, R. (2000) Family therapy in the here and now: some thoughts on theory and practice. Psychological Foundations-The Journal 2(2): 23-27. Singh, R. (2000) Love in a single parent refugee family: Case Example. Psychological Foundations-The Journal 2(1): 7-8. Singh, R. (1999) Book review of Hoffman, L. (1993) Exchanging voices. Psychological Foundations-The Journal 1(2). Singh, R. (1999) Rituals in family therapy. Human Systems 9 (3-4): 185-191. Singh, R. (1999) The loss of a family: helping children through the process of divorce. Psychological Foundations-The Journal 1(1): 52-53. Singh, R. (1998) Book review. Seminar 462. Singh, R. (1996) Rituals in family therapy. Indian Psychologist 1 (1).